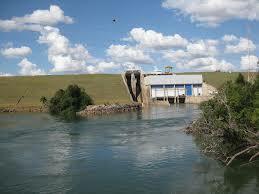 The objective of the Paraíso hydro project is to yield the power potential of the Paraíso River to generate electricity. This is realized by a small hydropower plant of 21 MW installed capacity, located in the city of Costa Rica in the state of Mato Grosso do Sul. Over a period of 10 years, the project will generate emission reductions of 326,733 tCO2e . The project employs a technology where a low-level diversion dam raises the water level in the river sufficiently to enable an intake structure to be located on the side of the river. Water from the intake is taken through a pipe downhill to a power station, at as low a level as possible to gain the maximum head on the turbine. The electric sector in Brazil has been supplied traditionally by 88% great hydropower plants, 8% thermal, 1% small hydropower plants, and 3% nuclear. Although the country still possesses great unexplored hydropower potential, most opportunities are located in the Amazon region, very distant from the main consumption centers and where environmental restrictions impose severe limits for energy exploration. The city of Costa Rica is an agricultural community located in the southwest corner of Brazil near Paraguay. This run of river project is adding rural electrification for farmers and local residents, at minimal cost and with a low environmental impact. Children are receiving the greatest benefit from the new electrification, particularly with lighting at home for their homework studies. The mini hydro project also creates electricity at affordable prices to power farm machinery and improve communication with the addition of radios and television sets. The project adds to the expansion of the generation capacity in a sustainable way, and it develops a better infrastructure, increases the employment rates in the region, and increases the tax income. The project has been validated and verified by Bureau Veritas Quality International in accordance with the VER+ Standard and the Social Carbon Methodology. It applies an approved CDM methodology. PCH Paraíso has the objective to generate electricity to supply the country’s economic growth demands for energy through the use of sustainable renewable sources. This renewable source of electricity generation has an important contribution to the overall reduction of CO2 emissions. Although most of the electricity generated in Brazil is by hydropower plants, the country’s electricity matrix expansion is moving toward a larger participation of thermo power generation. Furthermore, the government has the intention to increase thermo power generation installed capacity by 15%. In the absence of this project, the tendency shows that fossil fuel-intensive energy generation sources would be used instead. Therefore, this project contributes to the reduction of greenhouse gas emissions.